The advert, which highlights the impact of palm oil on rainforests and orangutan, has gone viral. TV presenter James Corden shared the ad on Twitter where it’s had 15 million views. Clearcast, the body which approves ads for TV, said it wasn’t approved because it breached political advertising rules. What’s political about palm oil? 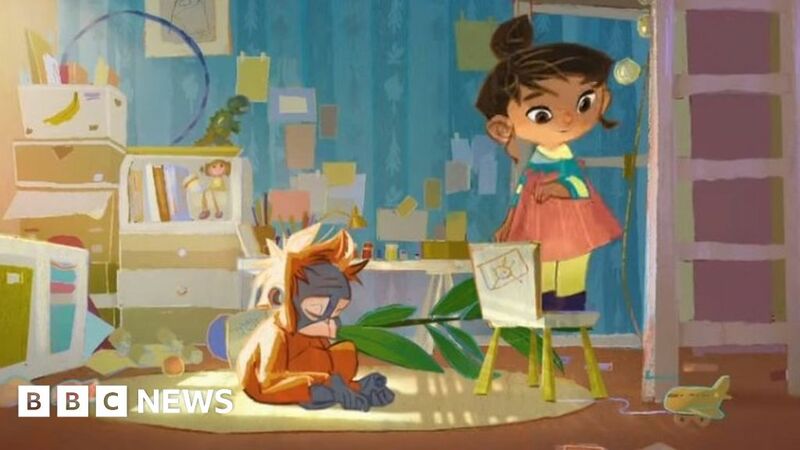 The advert, which was released on social media on Friday, didn’t breach the rules because it was about the environment or palm oil. It wasn’t approved because the advert was originally made by the environmental organisation Greenpeace. It comes down to the law – political advertising isn’t allowed on TV. In the case of the Iceland ad, Clearcast looked at the rule which says adverts breach the law if it is “inserted by or on behalf of a body whose objects are wholly or mainly of a political nature”. Clearcast said Greenpeace had to show it wasn’t a “political advertiser” before the ad could be approved – but wasn’t able to do that. In a blogpost on Monday, Chris Mundy, managing director of Clearcast, said the body doesn’t consider the message in the ad itself to be political. So has it been banned? Clearcast doesn’t have the power to ban adverts. It just decides whether ads meet the rules set out in law. It’s the job of the Advertising Standards Authority (ASA) and communications regulator Ofcom to ban ads that fall foul of the rules. It’s up to broadcasters – such as Channel 4 and ITV – to ensure the ads they put on their channels don’t breach the law. The ad has had three million views on Iceland’s YouTube channel, 13 million views on its Facebook page and more than 90,000 retweets from its Twitter handle. A petition on change.org to “release Iceland’s banned Christmas advert on TV” has more than 670,000 signatures. Krupali Cescau, head of planning at brand agency Amplify, says the advert speaks to the public’s current attitude towards sustainability and climate change. She says the fact it’s been released under the banner of it being “banned” has created even more publicity. “If it had just gone straight on air it would have been great in terms of starting a conversation,” she said. “Actually, the fact that it’s been released like this, as a banned advert, is riding the sentiment that is out there at the moment. Was this Iceland’s plan all along? The advert has gone so viral, some wondered whether this was Iceland’s intention all along. It’s managing director Richard Walker has told Radio 1 Newsbeat this wasn’t the case. “When we first found out it was going to be banned ten days ago, we were absolutely gutted. Iceland says it had made a deal with Greenpeace to run the advert without its branding in order to try and comply with broadcasting law. “There’s no reference to them in the ad because they are deemed to be political and therefore we needed to disassociate ourselves with them,” says Richard. He says he stands by Iceland’s description of the ad being “banned”.